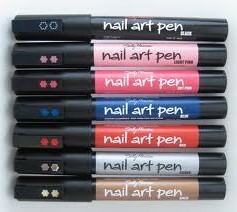 Sally Hansen nail art pen makes nail art easy. A unique pen and fast-drying formula allows anyone to "design and go". 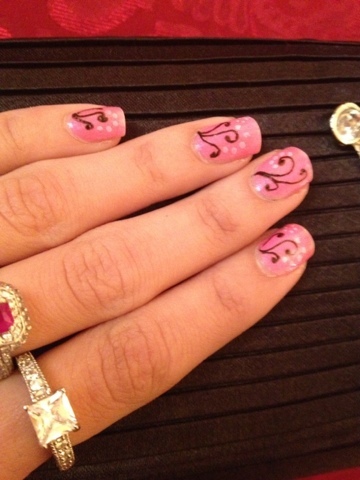 Create nail designs over any nail color. The fine-tip pen makes it easy to control and draw precise lines for a french manicure. The mistake-proof formula can be removed or corrected with a moist cotton swab without damaging dry nail polish. Nail art pens are great for french pedicure tips too. Available in 8 designable shades. Do not apply to bare nail. Apply base coat or polish before use. Allow polish to dry completely. Shake well with cap on. Remove cap. Push pen tip on hard surface to dispense color. 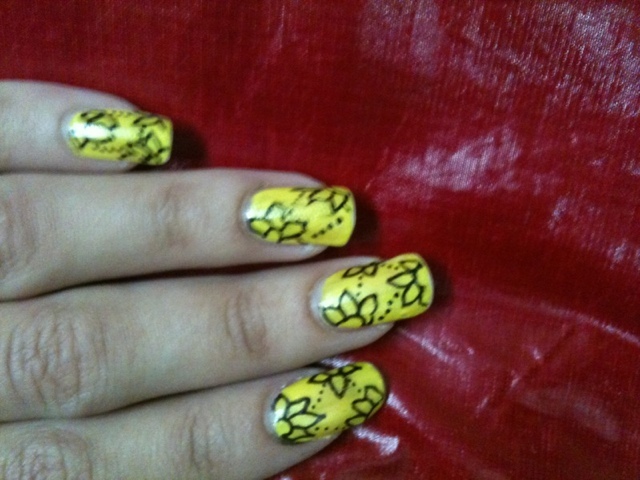 Apply nail art design to nail. Allow to dry. Seal nail with top coat when your design is complete. Protect work surface while using this product. Express yourself! Now you can be creative with your nails in seconds! Just press pen point to activate nail color and start designing on your nails! The nail art pen is exactly what it sounds like – an actual pen with a pointy tip. If you’ve ever used a felt-tip marker or a concealer pen, you know what you’re doing. My one gripe with the pen is that it took a while for the product to get to the tip – I actually thought it was defective at first. However, once it’s running, the pen really gives you a perfect amount of nail polish – enough to draw with but not too much so that it will run. The color was also super-opaque, which is a huge plus. The bad part about these pens are that after using them on a few nails and shaking the pen to release more of the polish the pen starts to get way too runny. And then I just end up with globs all over my fingernails, but very shortly after the pen will go back to normal. 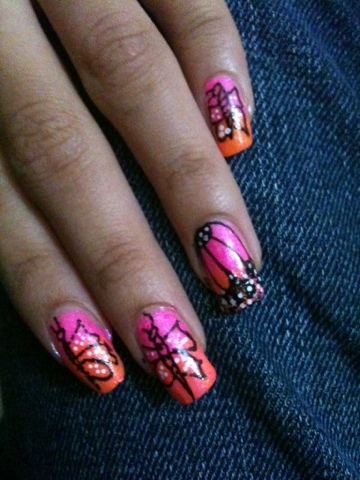 So when you want some polish dont shake it near your nails else it will spoil you nail art . I've always looked at thee and been like "meh" - but now I actually think I'll grab some. Nice review! art pens is the best!! These look awesome!! I'll have to keep an eye out. 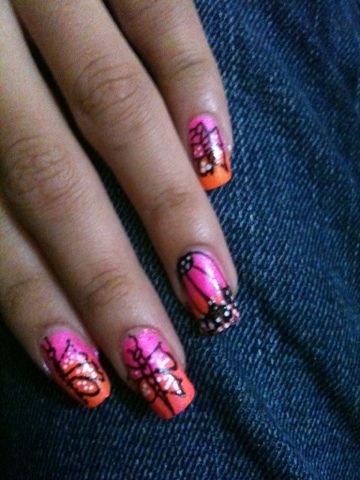 Cute manis.